Travelling to a ski resort with kids can be peaceful. Follow these steps you’ll arrive in Morzine in peace! We know a thing or two about travelling with kids and it can either be a blessing or a curse. Lots of things can happen in the transition from A to B. Whether it’s the typical constant bombardment of ‘Are we there yet?’ or a minor (or major) toilet problem, the key to success for peaceful travel is preparation. Tablets & Phones are amazing. But they shouldn’t be abused to keep the rugrats quiet as (god forbid) if the battery runs out, or you need to finish that last minute work deadline – you’ll need a solid plan B. Cast your mind back to 2009 and remember those things called books. Yep – they are still around and provide a great non-battery alternative to a tablet. 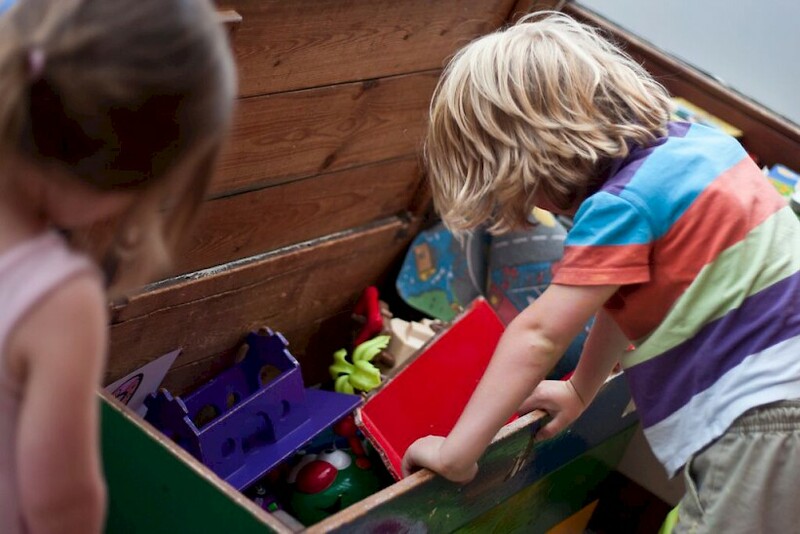 Depending on the age group of your children we recommend something engaging. So, a great image focused storyline like Dr Seuss for the 6 – 9 year-olds, and you can never go wrong with Harry Potter for the slightly older kids. There are thousands of fun books for the younger kids, and the great thing is that these never really go out of style, so hand me down picture books are more than fine! Yep… You know the vibe. Screaming hungry grumpy children. It’s not fun for the parents or the other passengers. We LOVE this. Yes, this is what one parent made up for her beloved aeroplane neighbours. If you have a particularly loud and grumpy rugrat for your flight, then make up a simple goodie bag for your neighbours and they will be eternally grateful! 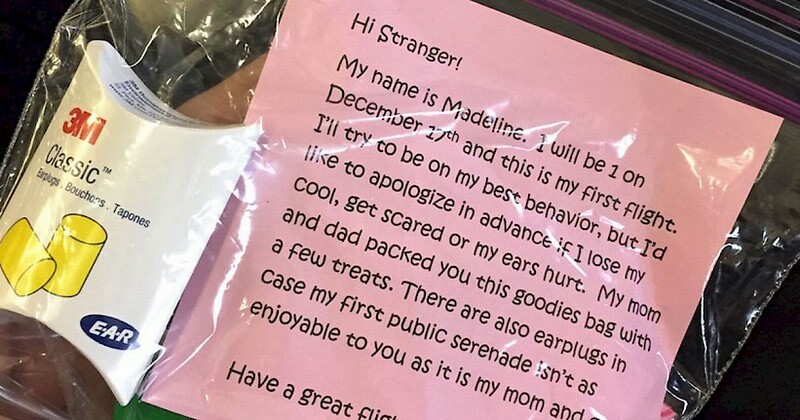 Don’t forget to add a personal note, and only distribute to your stranger neighbours if your child starts to become a little loud! 3.) Get the kids creative. It’s quite easy to get the children lost in a colouring book or tablet drawing game like Kids Doodle. It’s a great way to get them feeling creative and experimenting with contrasting colours and shapes. All you need is a set of colours, a good drawing book and a stable surface (or an Ipad). Make sure you tell them ‘the story of the Girl or Boy that got banned from sweets for drawing on public property’, as you don’t want them to become young Banksy’s on the plane. Also stay away from Sharpies & Permanent Markers just in case they forget the important story above! ‘We like to go that extra mile at Mountain Mavericks. 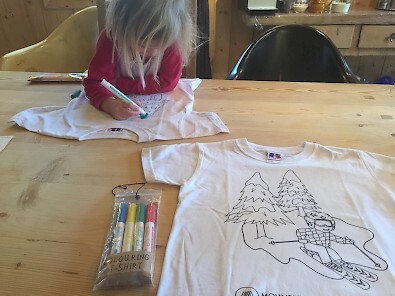 That is why we have Draw Your Own T-Shirts as an optional activity in the chalets. If only we had adult sizes! 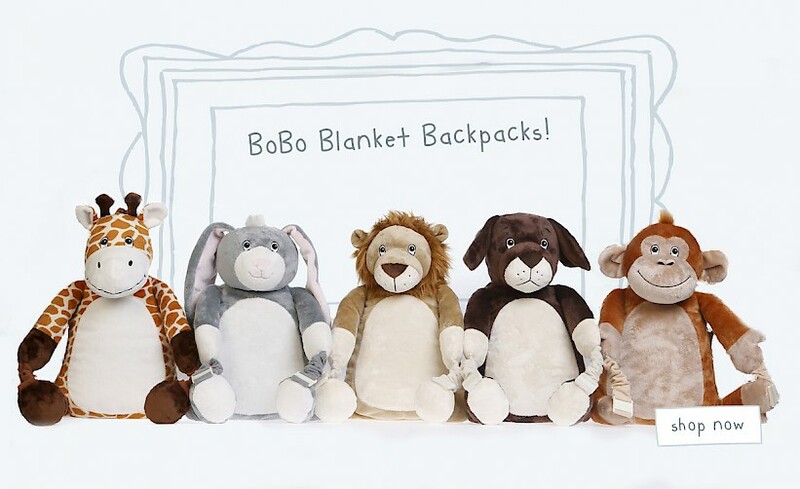 Bobo Buddies Blankets! A rucksack that turns into a sleeping bag. We LOVE these at Mountain Mavericks and we strongly recommend looking at getting one on Amazon or through Bobo Buddies website. Walking around the airport can be a tiring thing and it’s always nice when the children get a good snooze when they (finally) get sleepy. Bobo Buddies will hopefully allow you to get your head into that new book you’ve been wanting to read for months. 5.) Getting the little ones into extreme sports young! Yep, as you can imagine this is something we’re a massive fan of and probably a little bias towards considering our interests. We’re not pushy people when it comes to children, and we believe they should find their own interests and hobbies, however extreme sports are a great way for the kids involved in an active and fun community. When it comes to travelling, it’s also a fun joint activity for parents. Simply plug into a (family friendly) snowboard, skateboard or mountain biking movie or magazine and let the videos or pictures get you inspired. These videos & magazines are visual, inspiring and will get the big kids exciting for the mountains, plus they can be watched with or without sound time and time again. Tony Hawks Trick Tips is a video we’ve watched numerous times to get into skateboarding, and is perfect for 9 year olds and older. Alternatively get The Art Of Flight on your IPad and you or your children wdisappointedapointed! Beware though, some extreme sports videos have an adult nature and should be watched first by an adult! 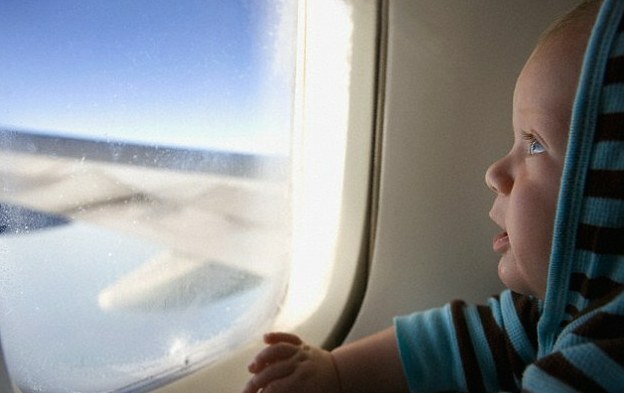 We hope these tips help you in travelling with the little ones. 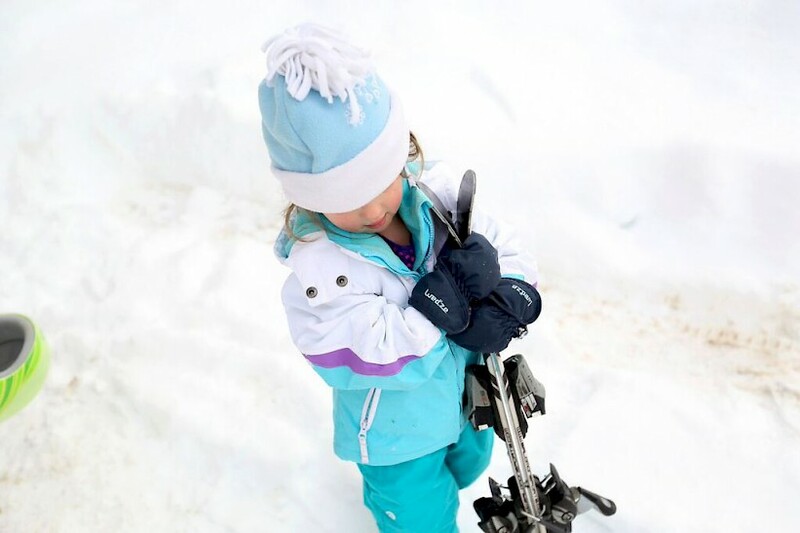 If you’re looking for a chalet company with experience in family friendly ski holidays, get in touch with our Mountain Mavericks bookings team to reserve your holiday to remember!